How Much Would These Stars Be Worth In Today's NBA? When Michael Jordan was a rookie, the NBA salary cap was a measly $3.6 million. Now, some rookies command more than double that (I’m not adjusting for inflation here, but you get the picture). Next year, the cap will grow to $109 million, more than 30 times the size of what it once was. It was that staggering fact which made me wonder how some of the most famous contracts from years past would translate in today’s terms. 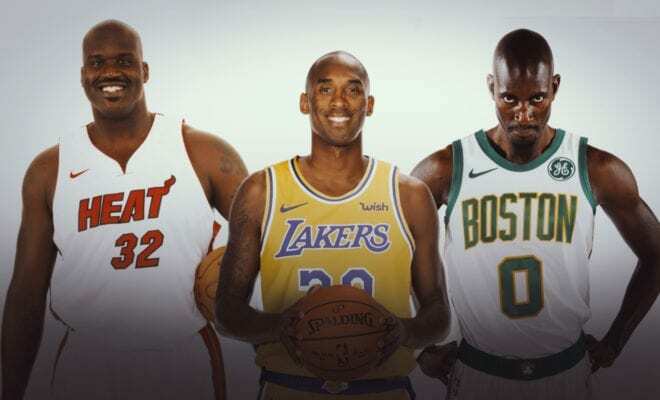 Just to be clear, this isn’t about how much money former superstars would actually get in today’s NBA, because they’d obviously all receive the current max. It’s about working out what they’d get paid today if they received the same percentage of their team’s salary cap as they did back then. Jordan got 22.9% of the accumulative cap. Ewing got 31.5% of the accumulative cap. Olajuwon got 38.3% of the accumulative cap. Carter got 34.4% of the accumulative cap. Iverson got 29.1% of the accumulative cap. Allen got 24% of the accumulative cap. Bryant got 36% of the accumulative cap. Garnett got 55.8% of the accumulative cap. O’Neal got 51.8% of the accumulative cap.